This article has been tagged as Needing work due to its lack of content. Glory Days was a short-lived television series that aired on the Fox channel in the United States in 1990. The series was produced by Patrick Hasburgh (21 Jump Street). The series ran for six episodes and is most notable for starring a pre-fame Brad Pitt. The series premiered with terrible ratings, and only six episodes ever aired. 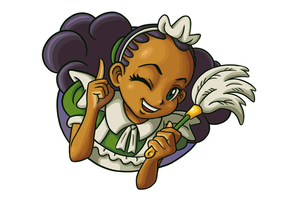 The series is nearly impossible to find online because another short-lived television show, also titled Glory Days, aired on the WB in 2002. Walker Lovejoy, Peter Trigg, Dominic Fopiano and Dave Rutecki were best friends in high school, but they have since started going their separate ways. Walker becomes a journalist, Dave a cop, and Dominic a college student, but Peter still hasn't decided. They live through many adventures, more or less together, and manage to stay friends even when their professional interests collide. 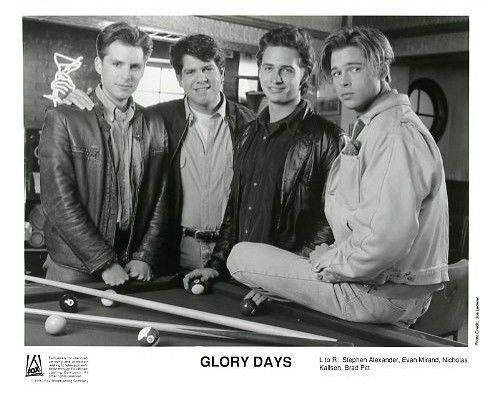 A series promo for Glory Days, alongside another for Molloy. Another series promo for Glory Days.